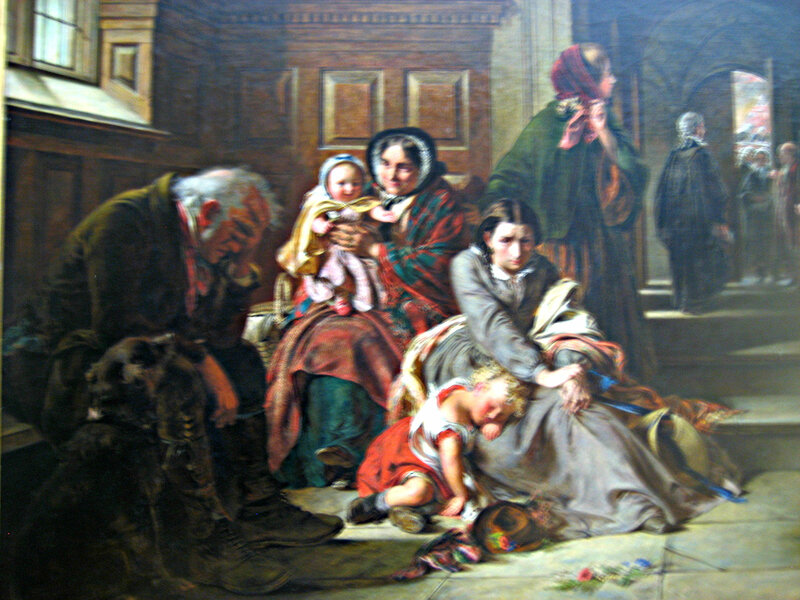 “Waiting for the Verdict” was painted by Abraham Solomon in 1857 and instantly gained popularity in the Victorian era. A close look at the painting should explain why. The painting is a poignant portrayal of human pain and anguish where a common man awaits the verdict of his trial with his family. The future of his family depends upon his acquittal. The painting is so beautiful and genuine in its portrayal of this close knit family that eagerly awaits the “not guilty” sentence for the anguished man. When I first saw this painting, unfortunately I had little idea how famous it was. But the painting was so well received in its own day that the painter was forced to paint replicas of it. I made a very faint attempt at capturing the scene heavy with human anguish with a poem of my own. I hope you like it and that Abraham Solomon will forgive me for my gauche attempt. “Not Guilty” sets him free with children and wife. content from any page, make it 100% unique and pass copyscape test?